File photo. 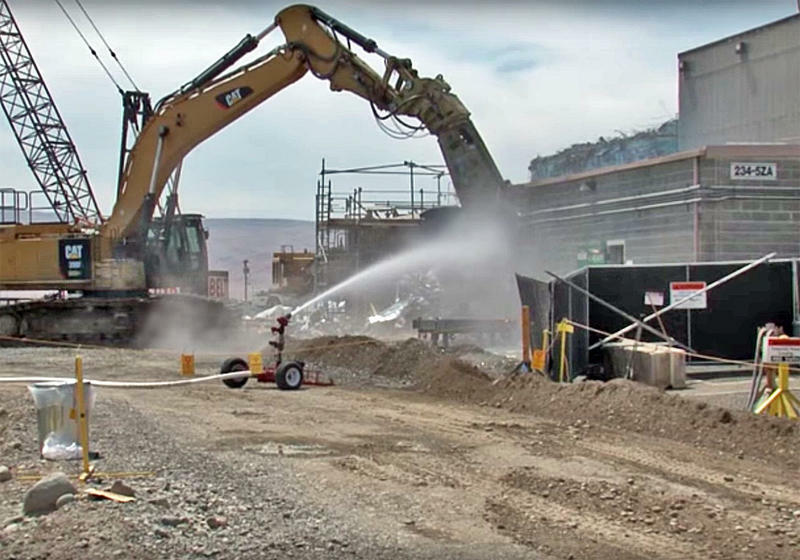 Demolition of the Plutonium Finishing Plant at Hanford was halted on December 18, 2017. Top state health officials are concerned that radioactive waste in the air is spreading around the Hanford site in southeast Washington. It’s mostly from that same demolition site that’s contaminated two workers, dozens of vehicles and closed down nearby offices. Both state and federal officials are monitoring the air around the Plutonium Finishing Plant with metal disks called “cookie sheets” and air-sipping filter machines. They’re finding traces of plutonium and americium. Some of that contamination is escaping the demolition site and getting into areas that are publicly accessible. John Martell is the manager of the state Department of Health’s Office of Radiation Protection. He said in his more than two decades there, he’s never seen anything like it. Martell did stress the levels of contamination are low, and he doesn’t believe there is any serious public health risk. The peak stranding time for gray whales in the Pacific Northwest is normally April, May and June. But the federal agency NOAA Fisheries has already logged nine dead whales washed ashore in Washington and one in Oregon. That’s on top of 21 strandings on California beaches since the beginning of the year. Continue Reading Why Are So Many Gray Whales Washing Up Dead On Pacific Northwest Beaches?